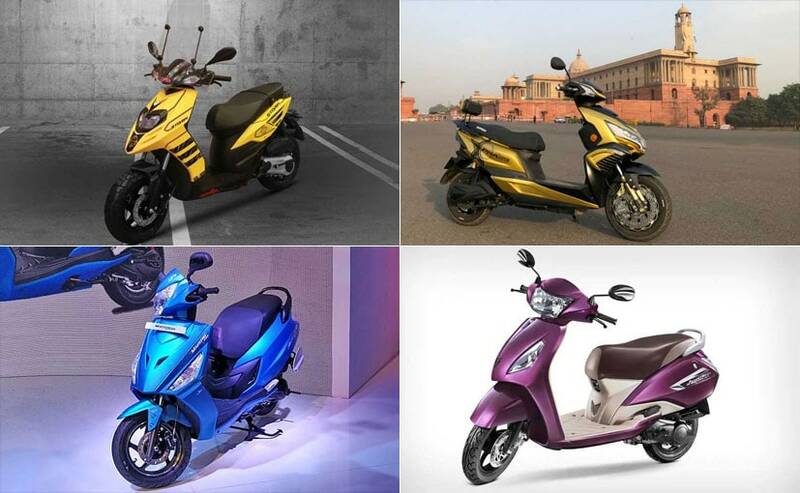 With the ever growing scooter segment promising strong volumes to manufacturers, there are more products lined up for launch this year. Here's a look at the upcoming scooters that will be hitting the Indian market in 2019. The last year was extremely interesting for the scooter market that saw some action packed launches over the course of 2018. The scooter segment made that big shift towards the 125 cc segment with as many as four new products hitting the market. We also saw new electric scooters entering the segment and several segment-first features being offered as well. The Indian scooter market has ample room to grow in the years to come and 2019 then, promises to offer a whole lot from where we left off in 2018. With more manufacturers exploring this space with more offerings, here's a look at the upcoming scooter launches in India lined up in 2019. Hero MotoCorp forayed in the 125 cc scooter segment with the Duet late last year and will follow it up with the Maestro Edge 125 that was first unveiled at the 2018 Auto Expo. The larger capacity model is the sportier model compared to the Duet and comes with sharper styling, matte finished paint schemes and a younger appeal. In terms of features though, the Hero Maestro Edge 125 will be identical to the Duet and come with all the goodies including i3S start-stop system, USB charging point, semi-digital instrument console with side stand indicator and more. Power will come from the same 125 cc single-cylinder engine tuned for 8.7 bhp and 10.2 Nm of peak torque. The motor is paired with a CVT auto box. Braking performance will come from a front disc and a rear drum brake setup and will get the Combined Braking System (CBS) as standard from the launch itself. Prices are expected to be around ₹ 60,000 (ex-showroom), which will make it a competitively priced offering over the rivals including the TVS NTorq 125, Suzuki Burgman Street, Aprilia SR 125 and more. TVS Motor Company tasted smashing success with the NTorq in the 125 cc scooter segment and rumours are rife that the company will follow it up with the 125 cc version of the Jupiter. 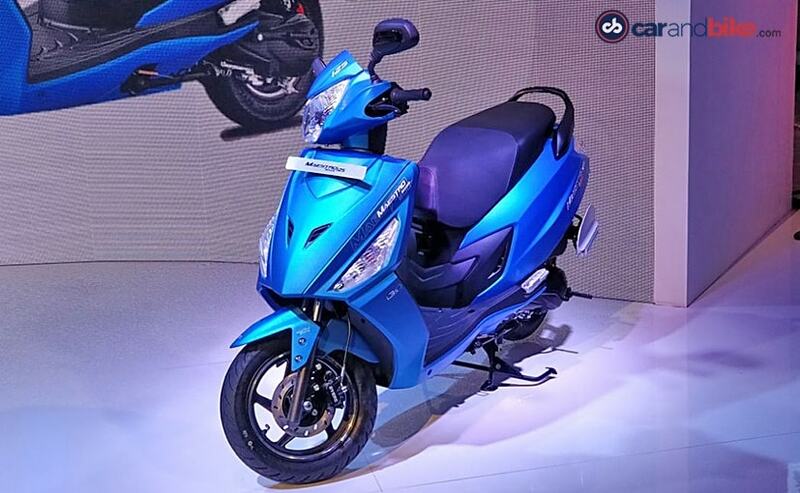 The TVS Jupiter is already the second best-selling scooter in the country and a 125 cc version is likely to bring in more volumes for the company. 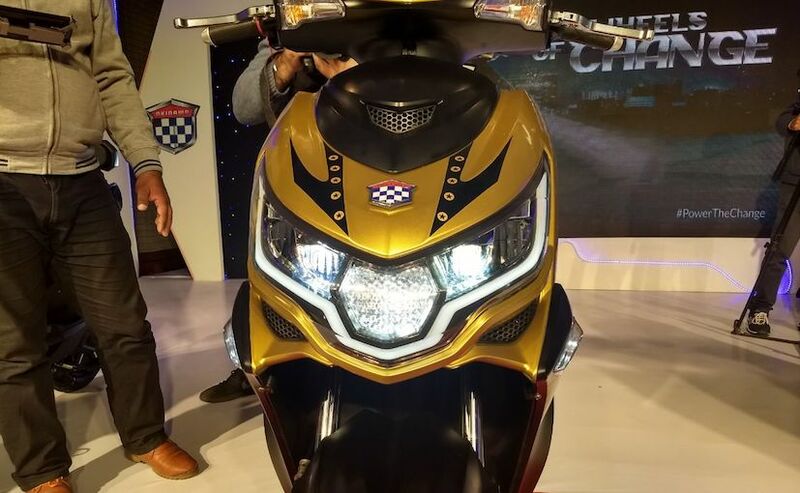 The new TVS Jupiter 125 is likely to be a fuel-injected model meeting the BS6 emission norms, and will also come with CBS and possibly an adjustable rear suspension. 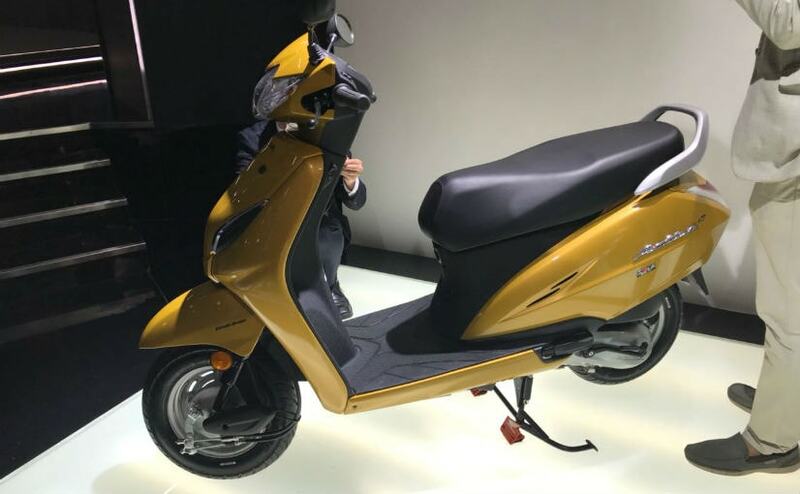 Given it will be identical to the 110 cc version, albeit with more features, expect to see a competitive price tag on the scooter. Electric two-wheeler Okinawa Autotech introduced the Praise electric scooter last year in India and is all set to introduce a new version of the scooter soon. The Okinawa i-Praise is scheduled for launch this month and will get a new detachable lithium-ion battery that can be charged at home in just 2-3 hours. The electric scooter will be powered by a 1000 watt, BLDC electric motor with range of 160-180 km in a single charge and a top speed of 75 kmph. Okinawa dealers have started accepting bookings for the i-Praise for a token amount of ₹ 5000, while prices will see a marginal hike over the standard version. Another model displayed at the 2018 Auto Expo, the Aprilia Storm 125 is a fun take on the standard SR 125 sporting a matte paint scheme and new body graphics. The new 125 cc scooter could arrive some time in the first half of 2019 as an alternative to the standard SR 125. The scooter will remain identical to the SR but will sport smaller alloy wheels with chunky tyres and the Combined Braking System (CBS) as standard. It will also draw power from the same 125 cc motor as the Aprilia SR 125 with 9.4 bhp and 9.9 Nm of peak torque on offer, while paired with a CVT unit. The new Aprilia Storm 125 will take on the Honda Grazia, Suzuki Burgman Street and the TVS NTorq in the segment, and will make for a fun alternative in Aprilia's entry-level line-up. American two-wheeler maker UM Motorcycles has largely dabbled into the cruiser segment but that could change this year as the company is said to be working on its first scooter for the Indian market. 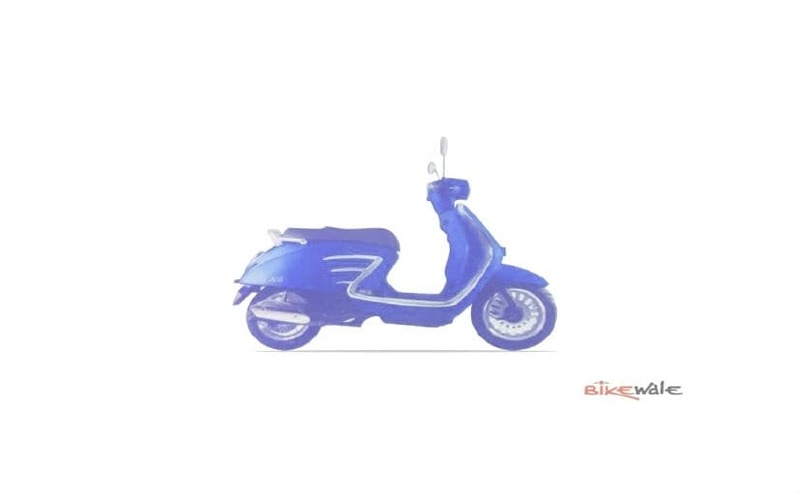 Reports suggest that the new offering from the company will be the UM Chill 150, which will be a 150 cc scooter with a retro styling. The scooter will take on the Vespa 150 range and will come with a host of bright colours and chrome paint work. Details on the UM Chill are limited at the moment but we expect the scooter to go on sale in the second of the year. Honda 2Wheelers India rules the scooter segment in the country and it will be rather unnerving to see the company not introduce a new offering in this space in 2019. While we expect that company to rollout yearly updates, as it always does, a new Honda two-wheeler is also on the cards and will go on sale by the end of the current fiscal. So, a new motorcycle or scooter from Honda could arrive by March 2019 and that could possibly be a scooter. Details are scarce at the moment but we will be looking out for this new offering from the Japanese brand coming soon. Keep watching this space for updates.